On Saturday, 10/23, there were some exciting events on TV. I invited some of my buddies over to watch UFC 121 and watch Game 6 of the Giants and Phillies NLCS series. I’m not a big Giants fan, but was happy to see them going to the World Series again after losing a heart-breaker to the LA Angels in 2002. However, I was not happy about watching Brock Lesnar getting TKO’ed by Cain Velasquez. All I can say is, Cain Velasquez is a beast and he deserves the title. Brock is still the man. When my buddies came over on Saturday night, I wanted to make something they’ve never eaten before at my house. 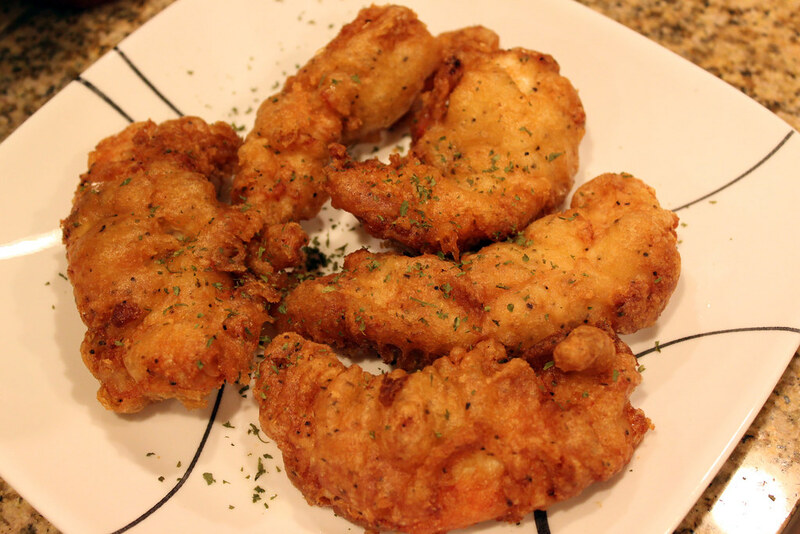 I decided to make some Lemon Pepper Beer Battered Chicken Tenders. Actually, I’ve never made this before at my house, so they were going to be my taste dummies. I wanted to taste like Smokeeaters chicken tenders. I think Smokeeaters serve up the best chicken tenders (and wings) in town. 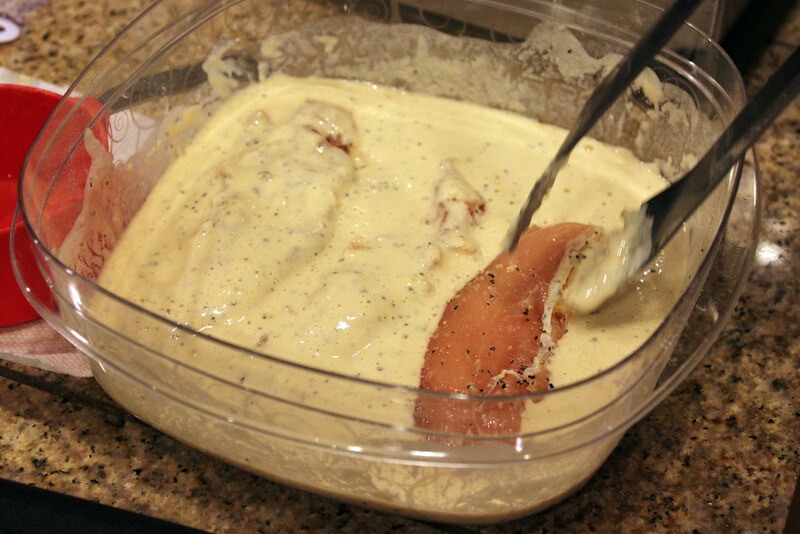 The batter is so light and chicken perfectly moist and juicy. For this recipe, you can use simple salt and pepper if you like. I used Lemon Pepper because it was the best spice I found in my pantry. 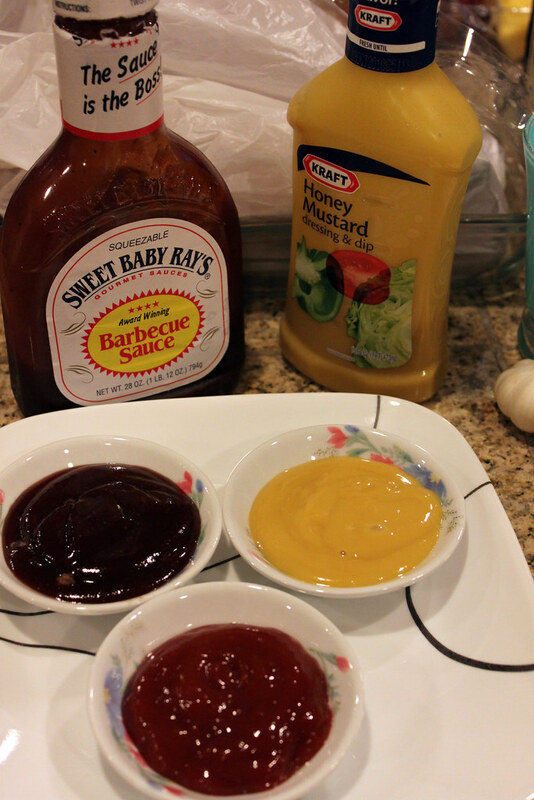 Serve it with your favorite dipping sauce and this is a great recipe to entertain your friends. 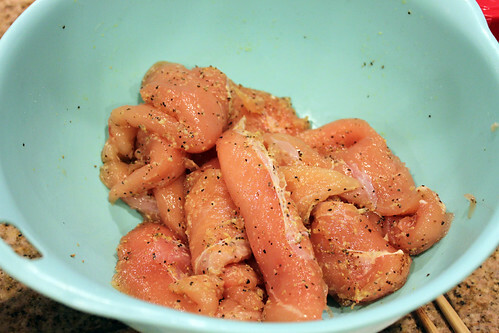 In a large bowl, add chicken tenderloin, salt, and 1 tablespoon of lemon pepper and mix thoroughly. In a large bowl, whisk flour, 1 tablespoon lemon pepper, and baking powder and set aside. 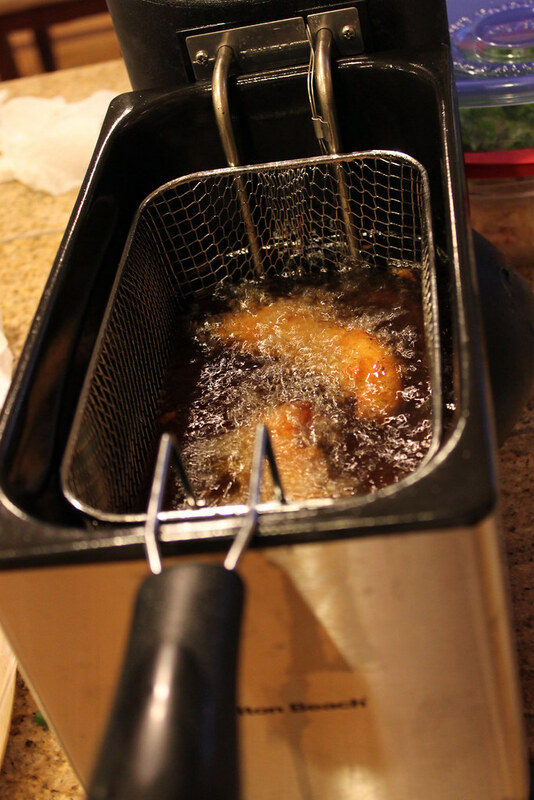 Turn on deep fryer to 350 degrees. 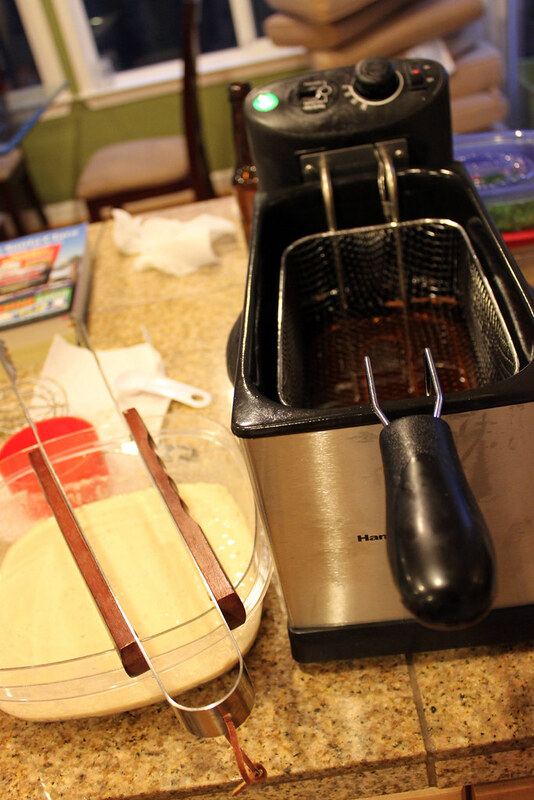 When ready, whisk beer to the dry ingredients until batter is combined. 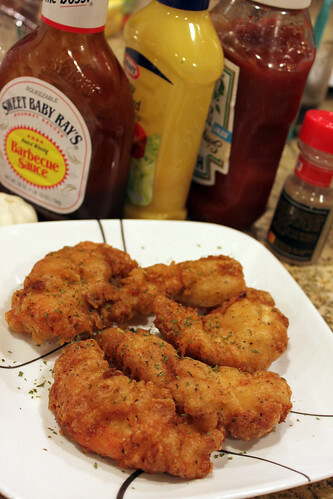 Dip chicken tenderloin into batter and fry until golden brown. Transfer to to a paper towel lined tray. Pat more towels on top to absorb excess oil.